The original Purcell store is surely one of these buildings. An articles reporting on the 1920 fire says that one of the brick buildings destroyed was the Purcell Block, a building that had J. L. Fulton’s billiard hall on the first floor, and the Belshaw Hall above. The building in the foreground was replaced by the brick hotel complex by the time of the 1920 fire. 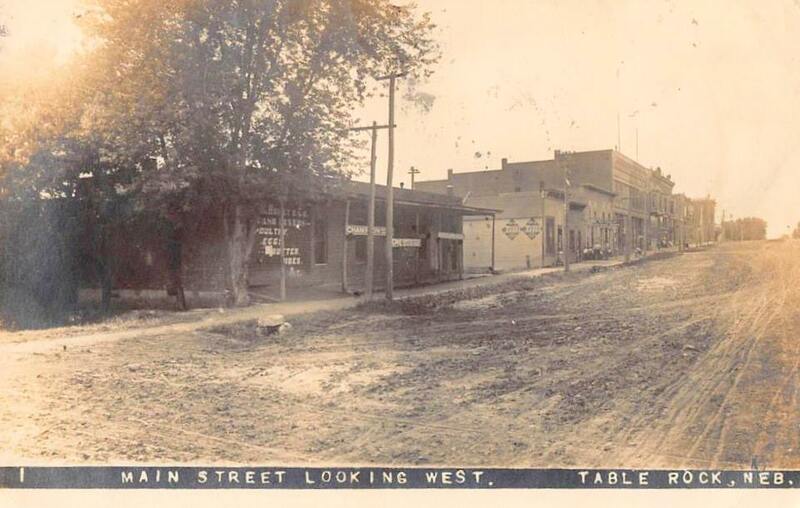 The three frame buildings beyond it were addressed by the 1920 article about the fire. It says that two were torn down to keep the fire from spreading to the new hotel buildings, but that the frame building of Steah and Phillips was standing at day break, but at Noon, the west wall of the Purcell building was dynamited and fell on it, crushing it. Accordingly, the Purcell building apepars to have been the first brick building from the camera. The Purcell building may have been the brick building farthest from the camera. Photo 459. 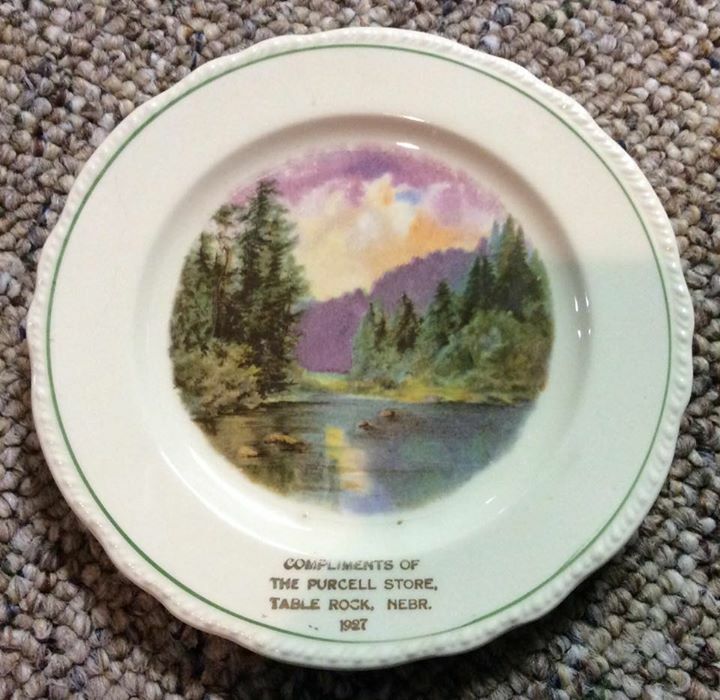 ​BELOW: Member Terry Hunt Korell, a Purcell descendant, identifies this as the second Purcell store, built after the 1920 fire by her Uncle Jim Purcell. Jim had the left side of the store, his wife Ida had the left. He sold hardware and other manly things, she sold dress goods and other feminine things. Photo 435. The store was later occupied by business that included Knapp's IGA and Vrtiska Electric. 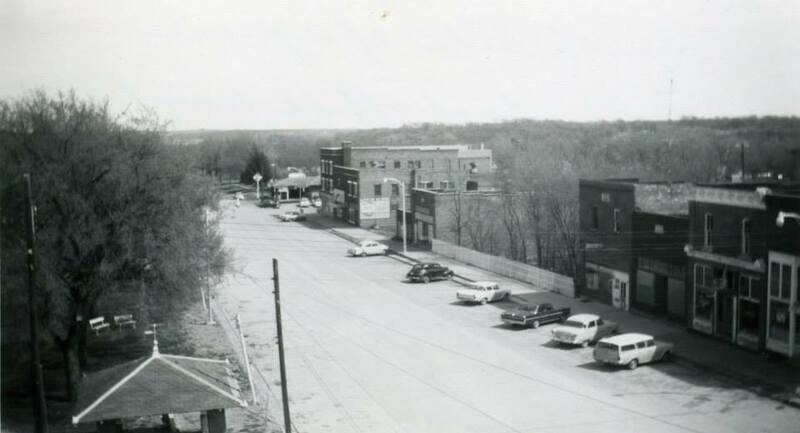 Photo 529 shows the Purcell building built in 1920 standing alone, other than the small building on its east side, which shared the same lot. Photo 1220 taken by Edward Tomek in the mid 1960s. Here you see the buildings on the south side of the Square at that time. The Purcell is mid block, with a shorter building attached to its east side (to the right in this photo, originally a blacksmith's shop). This entire block was filled with buildings at the time of the 1920 fire. 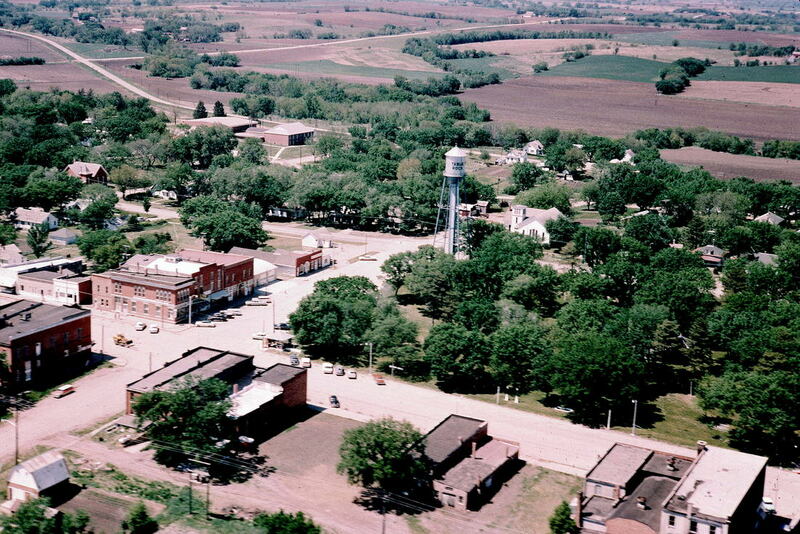 The four in the middle (the Purcell store with the blacksmith shop attached, in the middle, and the two buildings to the west of it, were built in 1920. The fire destroyed everything between the two adjacent buildings to the left and the hotel complex to the right. 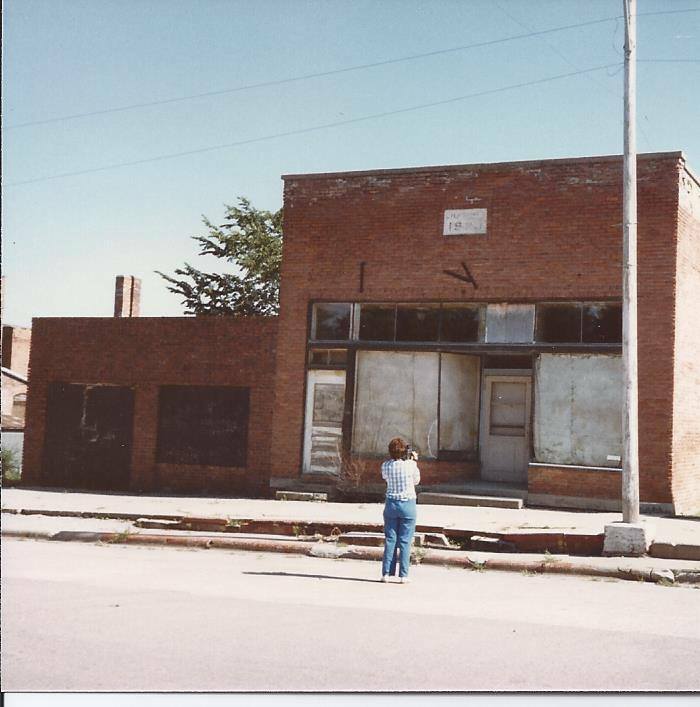 In 1987, Terry Hunt Korell taking a picture of the old building once occupied by her Uncle Jim & Aunt Ida Purcell's store.